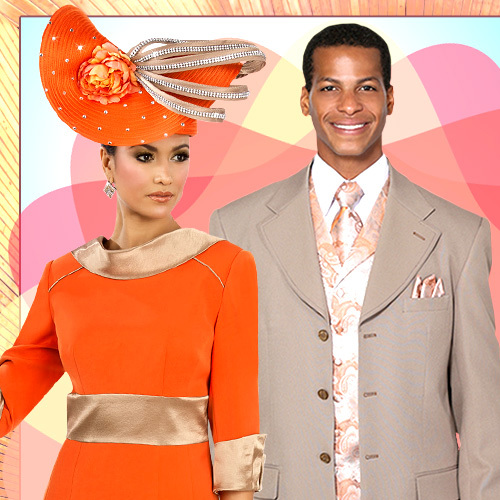 Our high fashion collection is one of our new best selling lines. 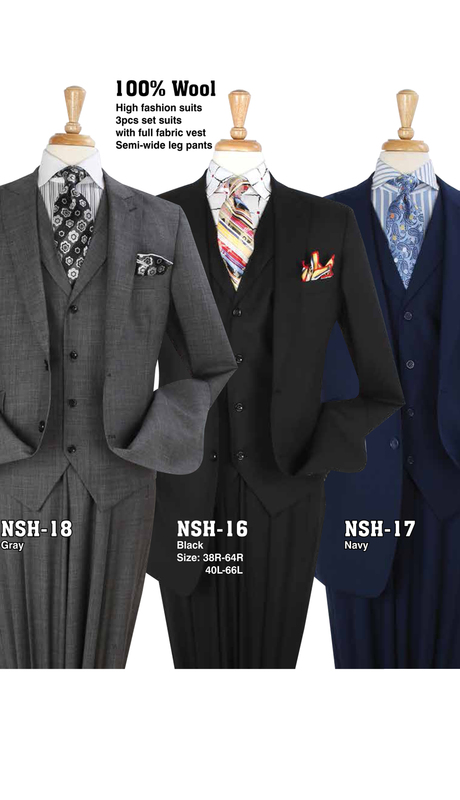 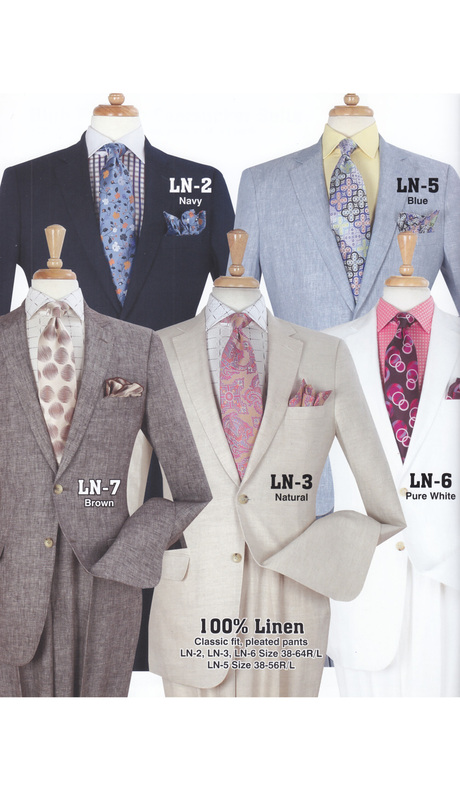 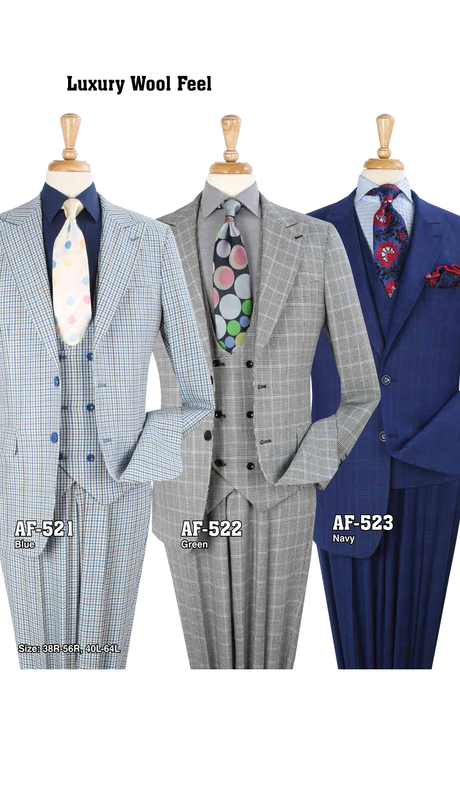 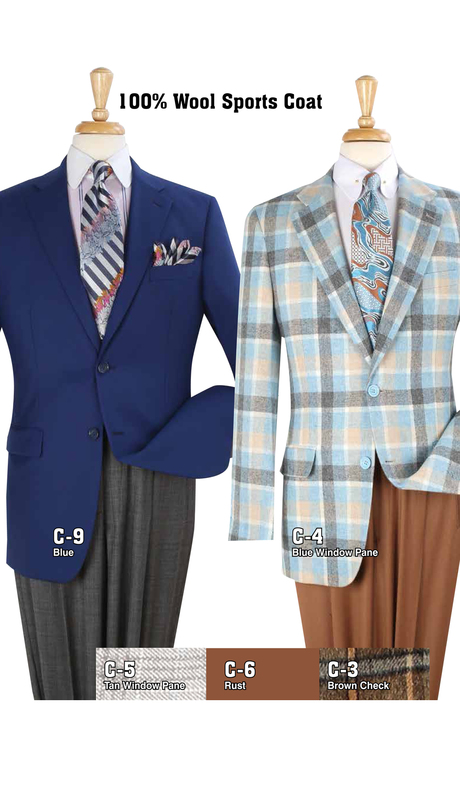 High fashion men suit styles consist of slim fit suits, One button suits, Modern fit suits, High fashion seersucker suits, Classic seersucker suits, 100% linen suits, 100% wool tuxedo suits, Swallow tailed tuxedo suits, Luxury wool feel, 100% cotton suits & Double breasted suits. 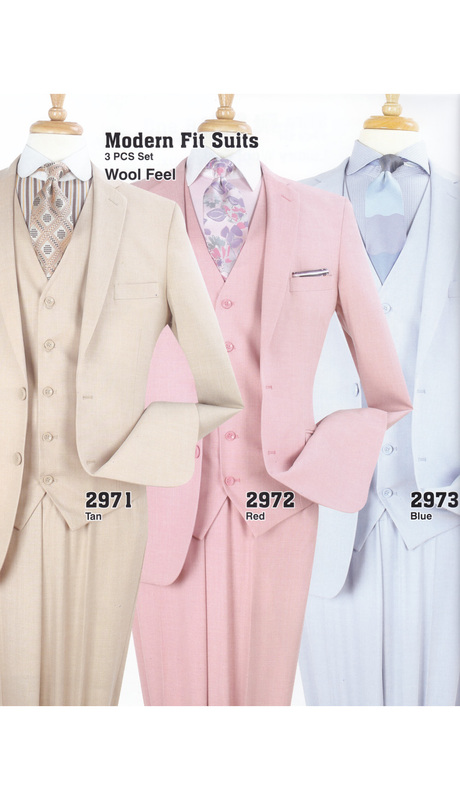 Three piece 100% wool high fashion suit with vest, semi-wide leg pants. 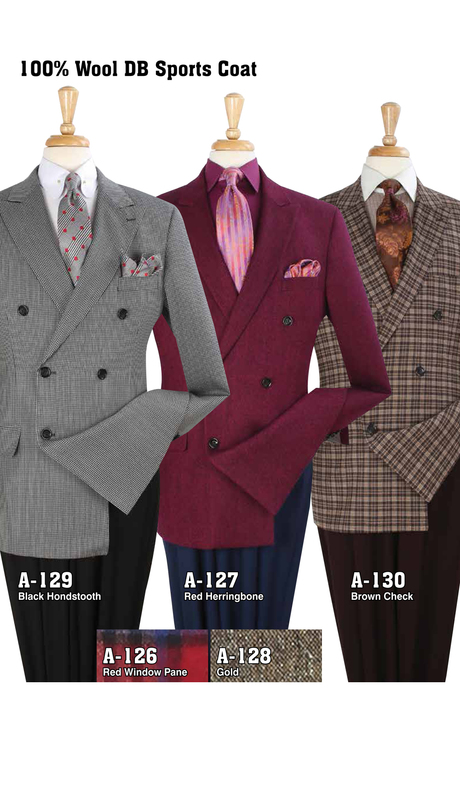 Three piece luxury wool feel, double breasted suit with coat. 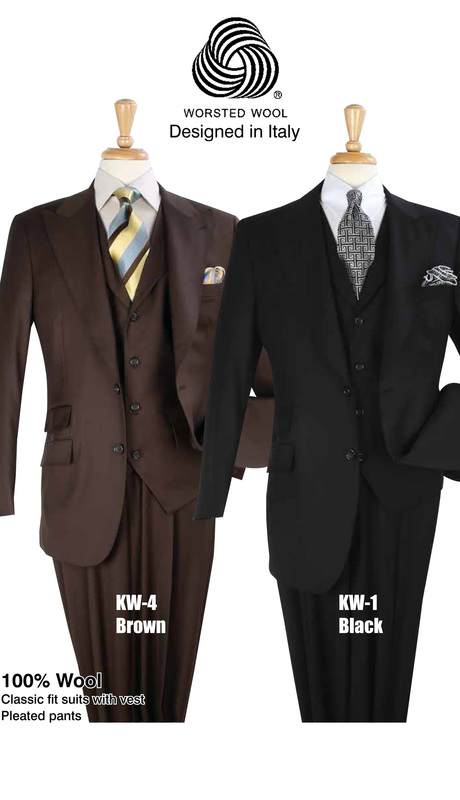 Three piece luxury wool feel classic suit set with pleated pants. 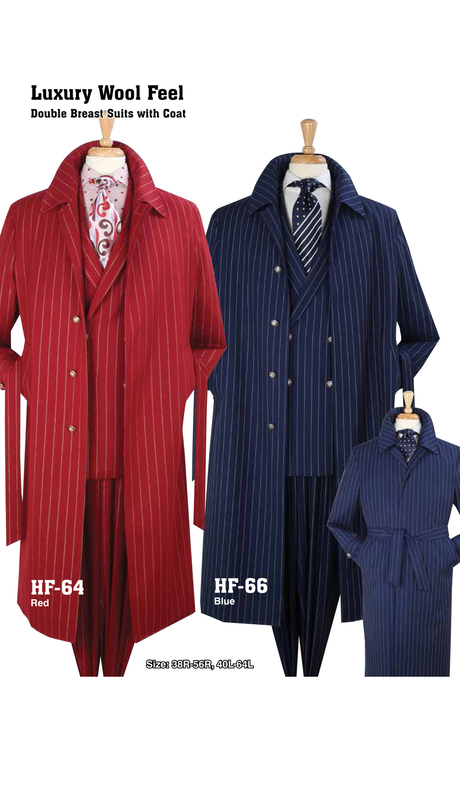 Three piece luxury wool feel, classic suit with pleated pants. 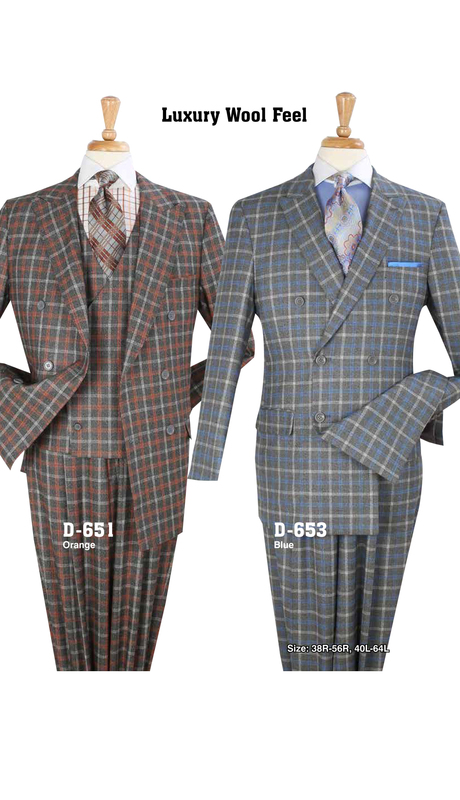 Two piece luxury wool feel, classic double breasted suit, side vents with double pleated pants. 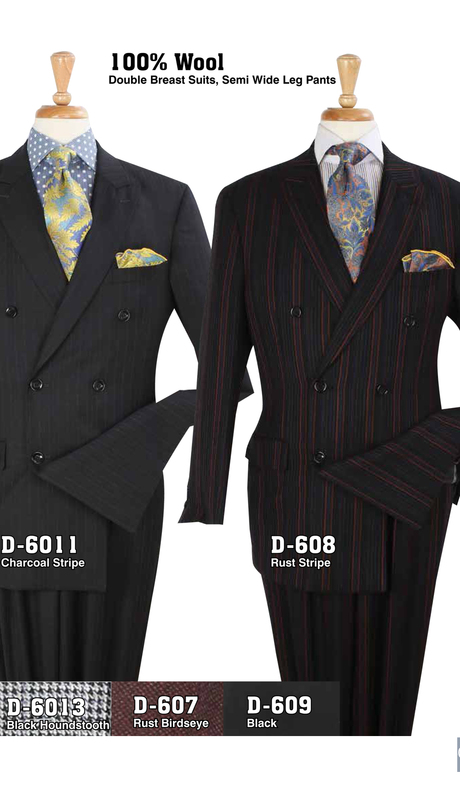 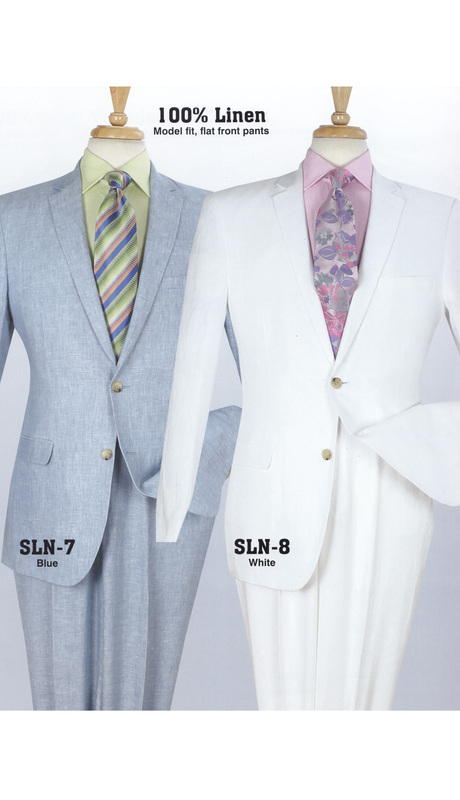 Two piece classic double breasted suits, side vents with double pleated pants. 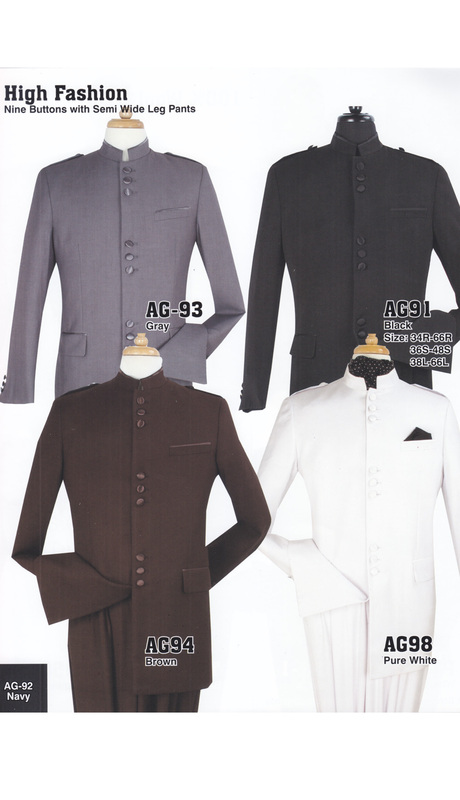 Two piece luxury wool feel, 3 buttons suit. 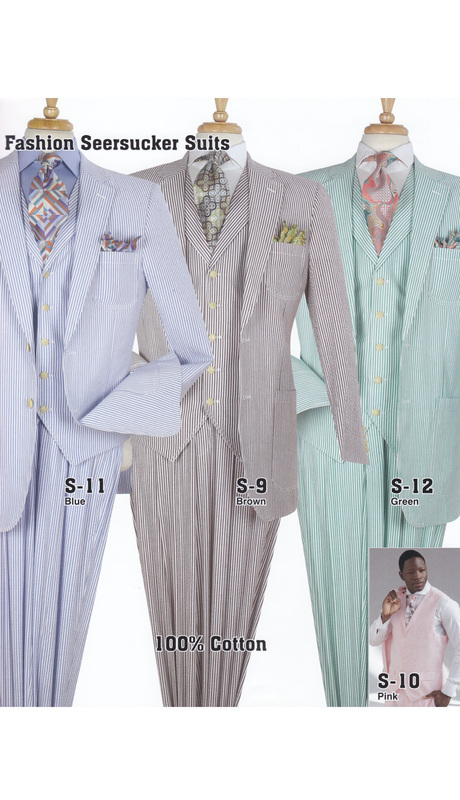 Three piece high fashion suit with vest, semi wide leg pants. 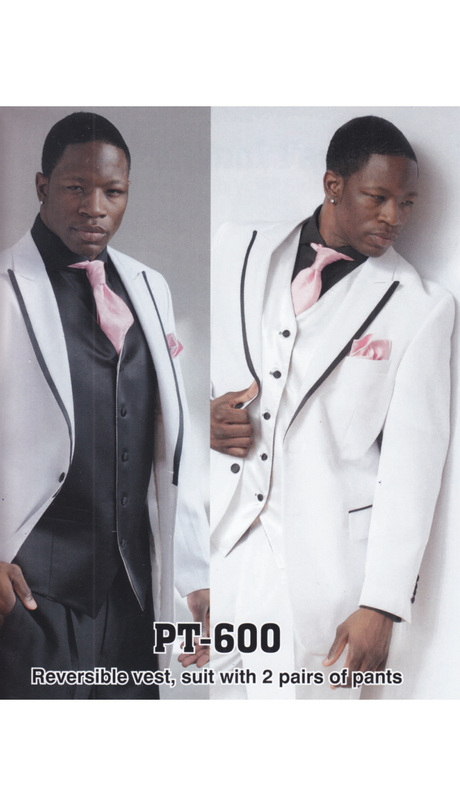 Two piece high fashion nine buttons with semi wide pants. 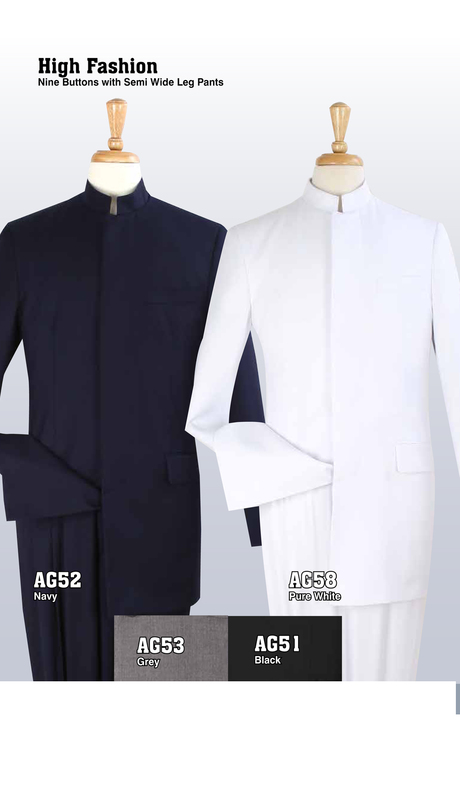 Two piece clergy suit, hidden buttons with semi wide leg pants. 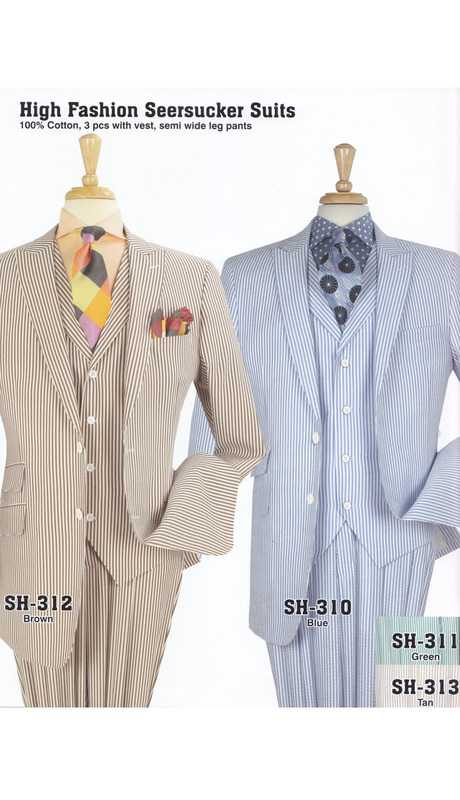 One piece 100% wool DB sports coat. 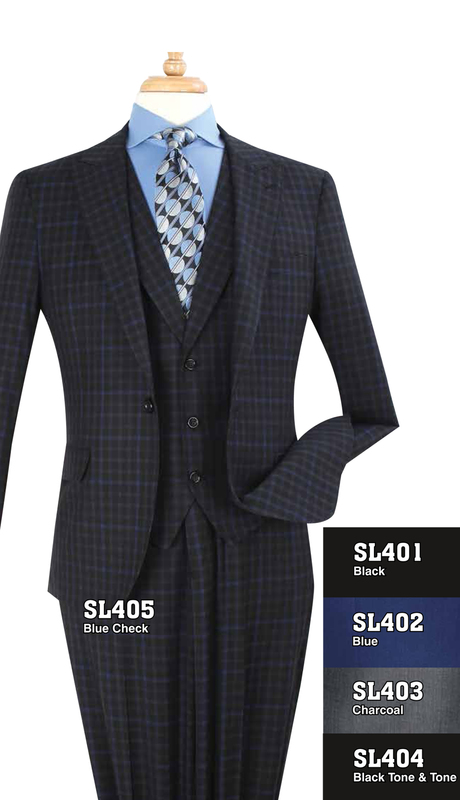 One piece 100% wool sports coat. 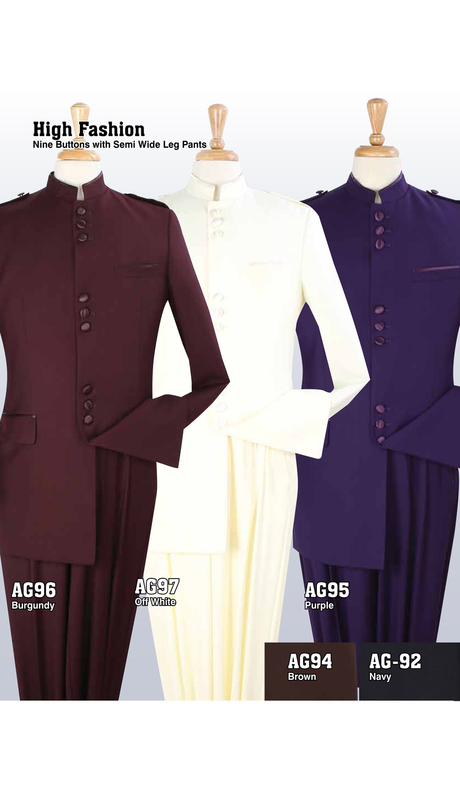 Three piece 100% wool high fashion suit with full fabric vest, semi-wide leg pants. 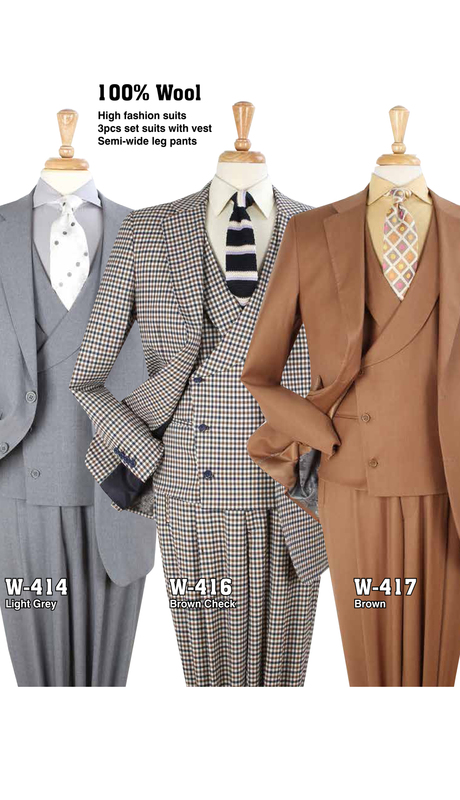 Three piece 100% wool, high fashion double breasted suit with vest, pleated pants. 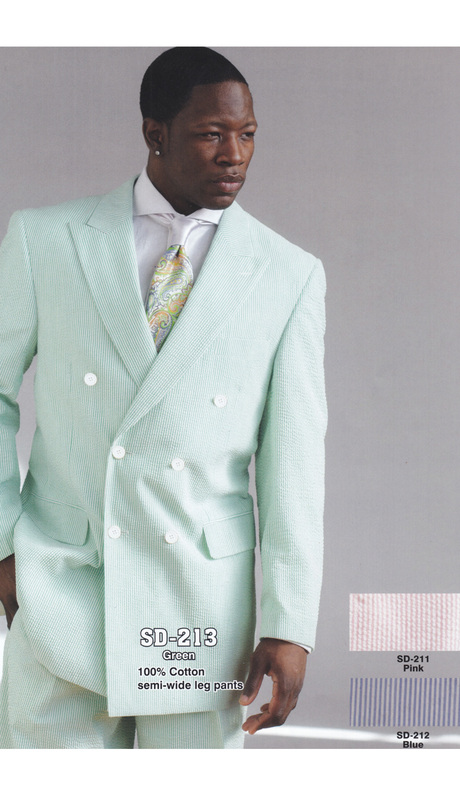 Two piece 100% wool double breasted suit, Semi wide pants. 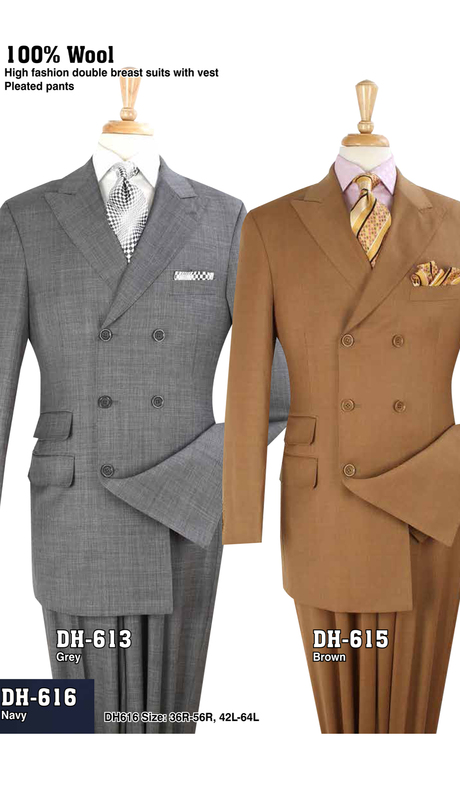 Three piece luxury wool feel, one button slim fit suit. 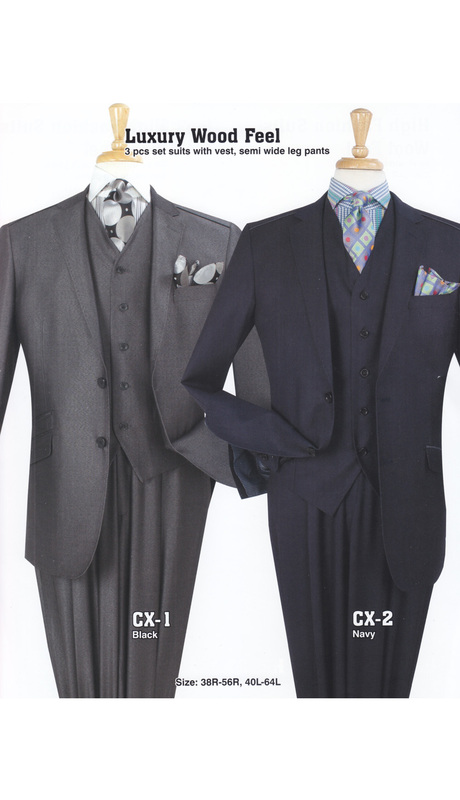 Three piece 100% wool, classic fit suit with vest and pleated pants. 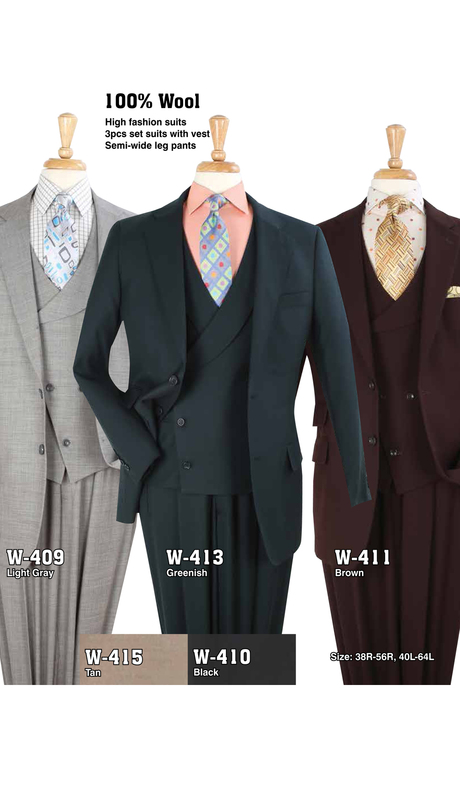 Three piece 100% wool, classic fit, double breast suit with vest and pleated pants. 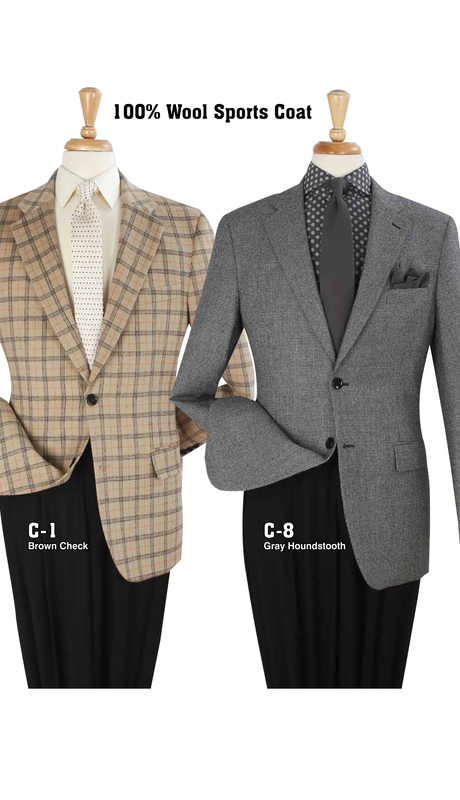 Three piece men's slim fit suit in luxury wool feel, two button, notch lapel jacket, u-neck vest and pants. 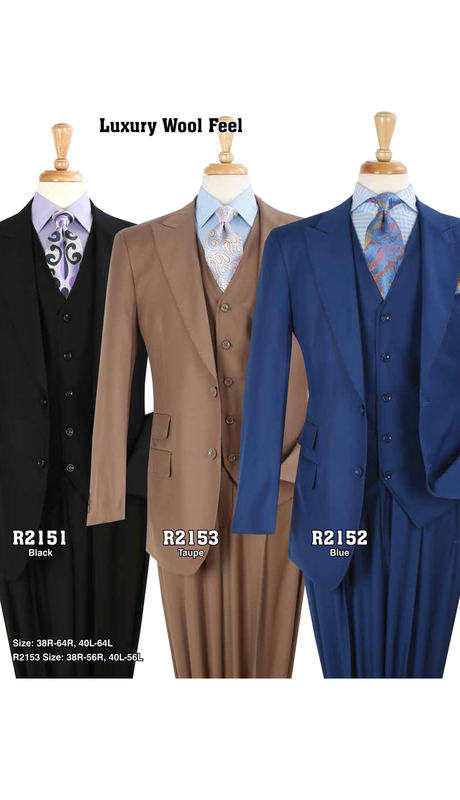 Three piece men's slim fit suit with two buttons, peak lapels, contrast trim, vest and pants. 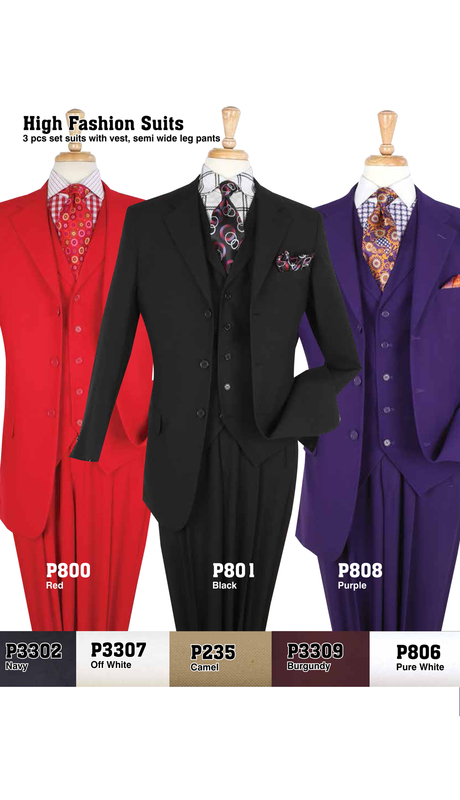 Three piece men's slim fit suit in luxury wool feel, single button jacket with contrast trim, peak lapel, u-neck vest and pants. 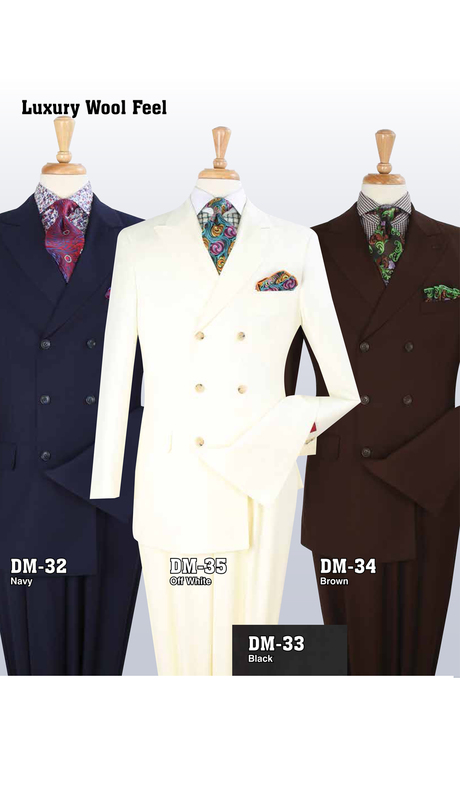 Three piece men's slim fit suit in luxury wool feel, two button jacket with contrast trim, notch lapel, u-neck vest and pants. 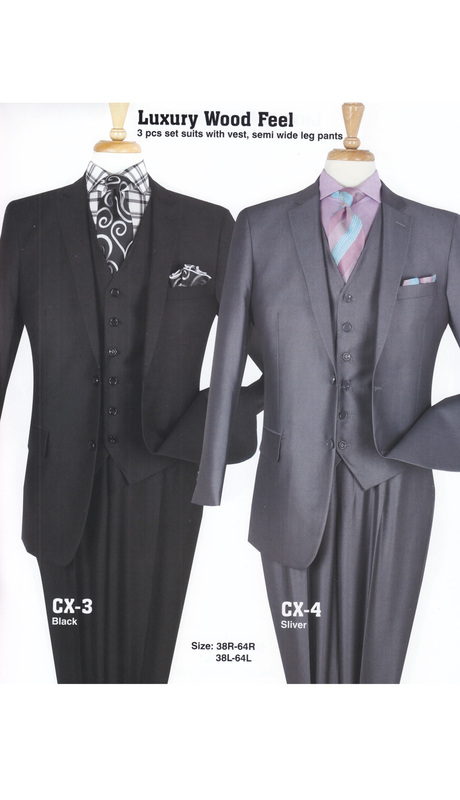 Three piece men's modern fit suit in wool feel, two button with vest and pants. 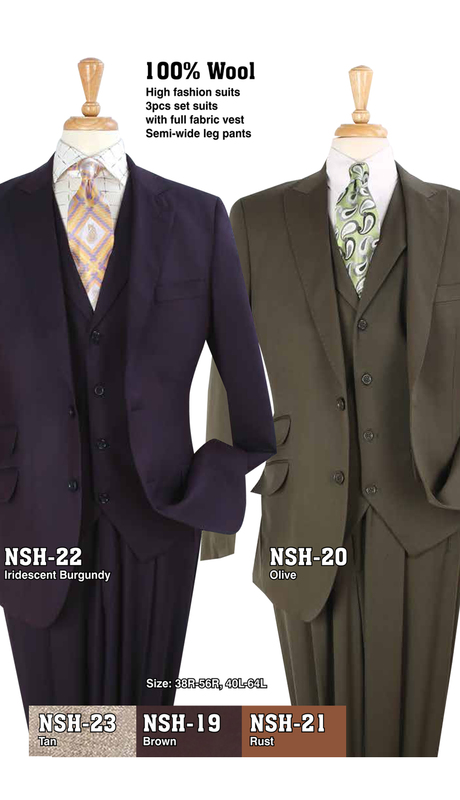 Three piece men's seersucker suit in 100% cotton, two button, notch lapel, collared vest and pants. 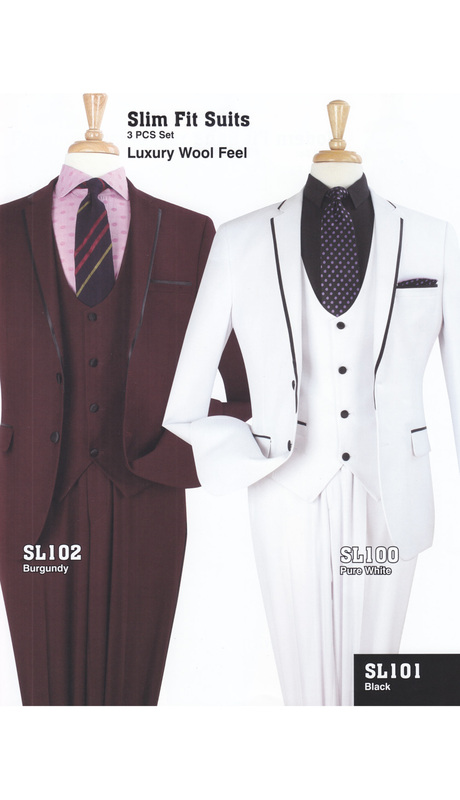 Two piece men's classic seersucker suit in 100% cotton, double breasted six button, notch lapel, vest and flat front pants. 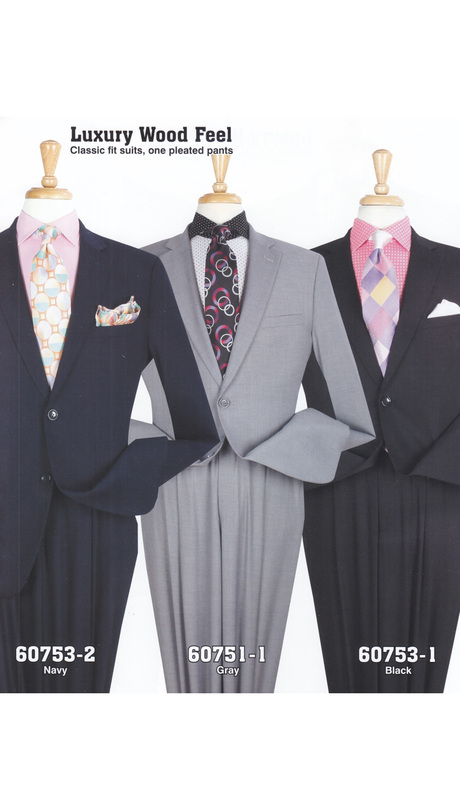 Three piece men's seersucker suit in 100% cotton, two button, peak lapel, collared vest and semi wide leg pants. 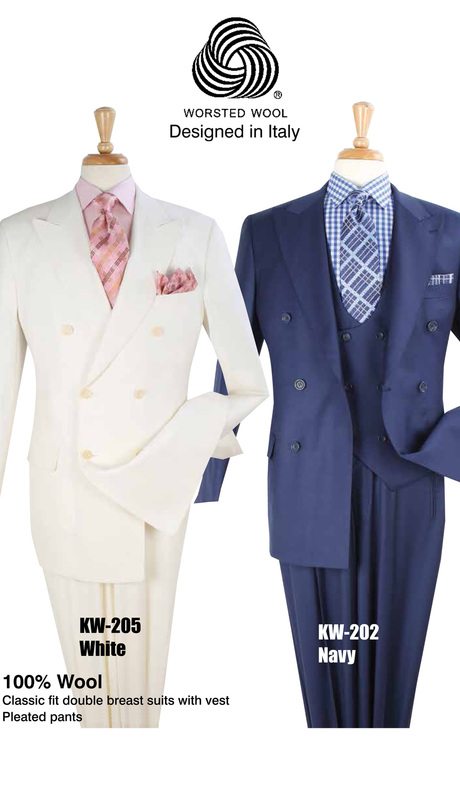 Two piece men's classic fit suit in 100% linen, two button jacket with notch lapels and pleated pants. 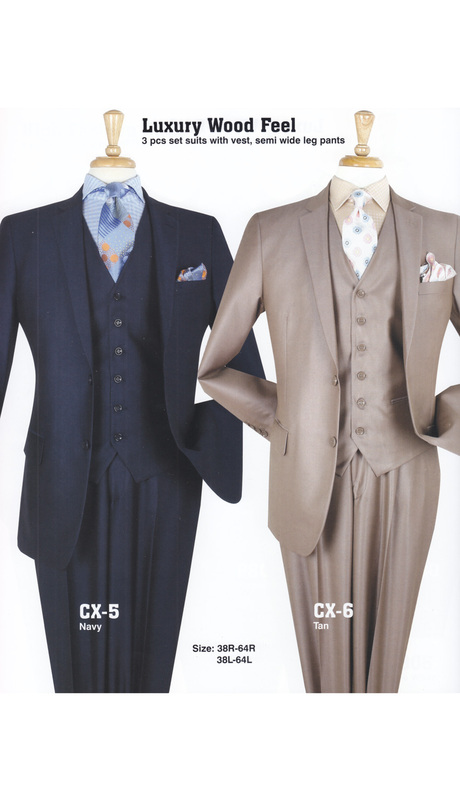 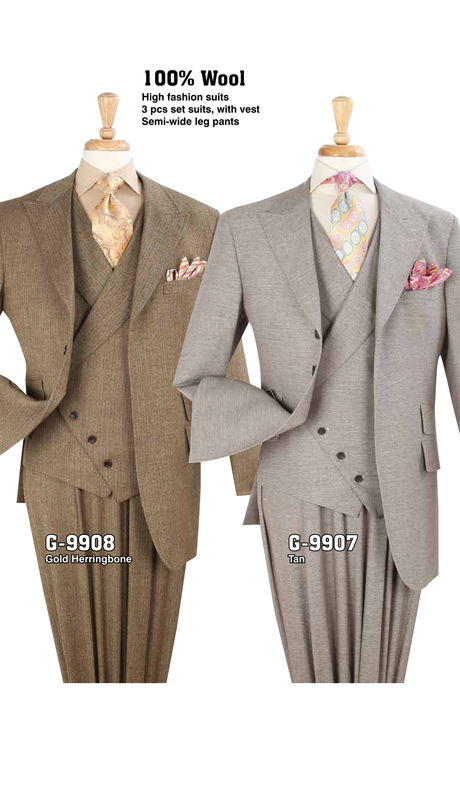 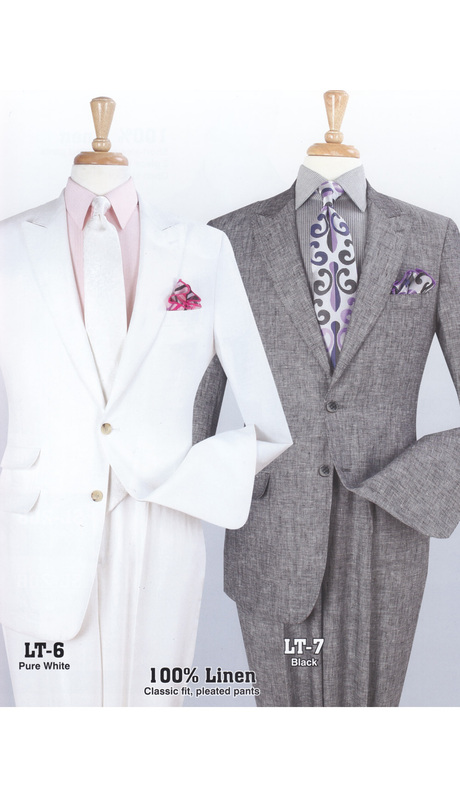 Two piece men's classic fit suit in 100% linen, two button jacket with peak lapels and pleated pants. 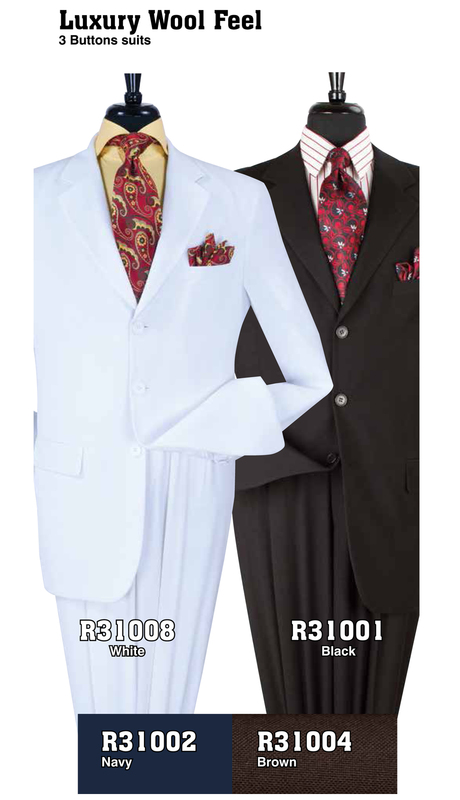 Two piece men's modern fit suit in 100% linen, 2 button, notch lapel and flat front pants. 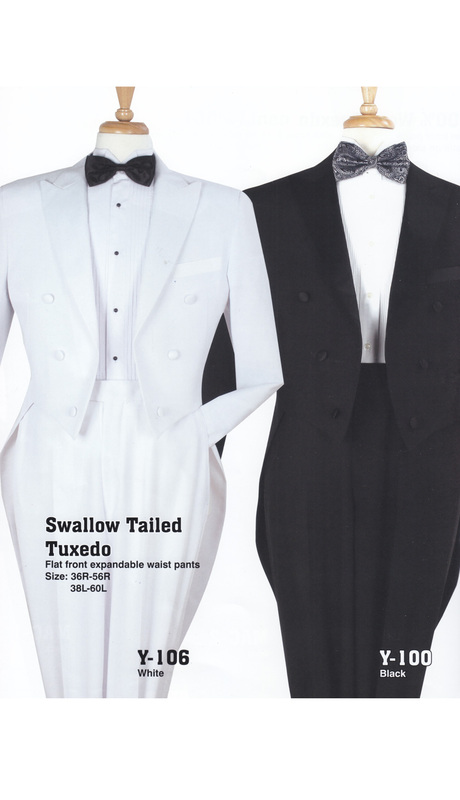 Two piece men's tuxedo with swallow tail, peak lapels and flat front expandable waist pants. 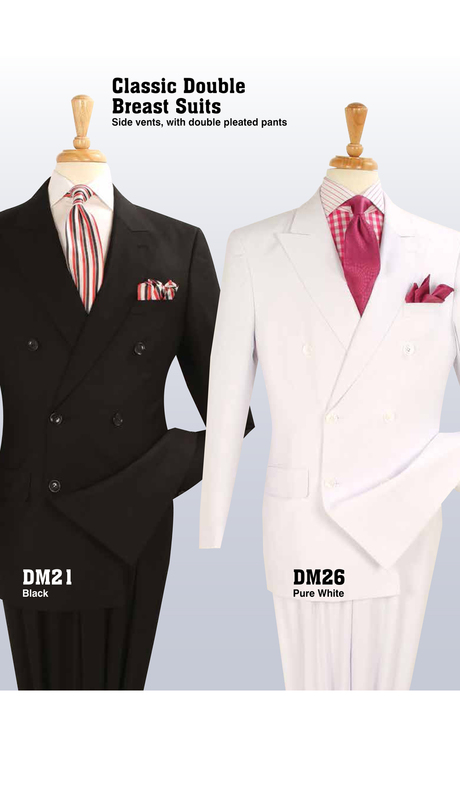 Four piece men's tuxedo with two button jacket, peak lapel, contrast trim, reversible vest and two pairs of pants in black and white. 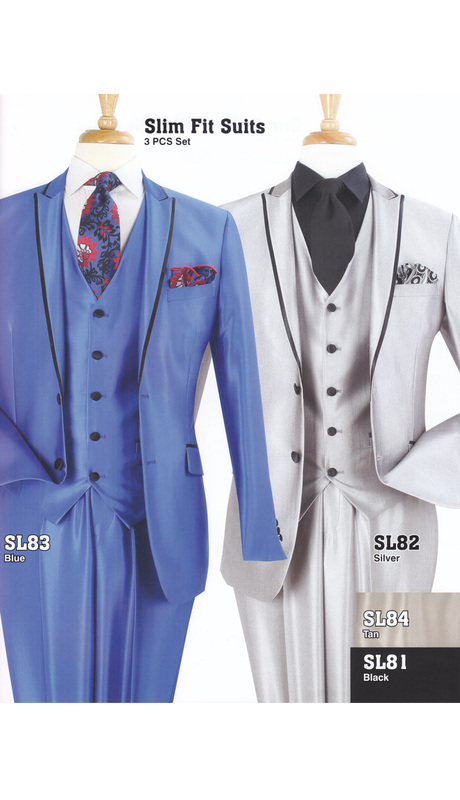 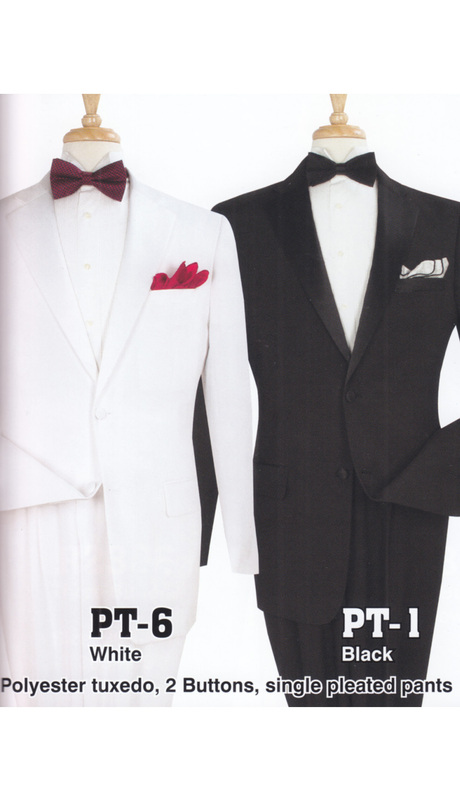 Two piece men's tuxedo in polyester, two button jacket, notch lapels and single pleated pants. 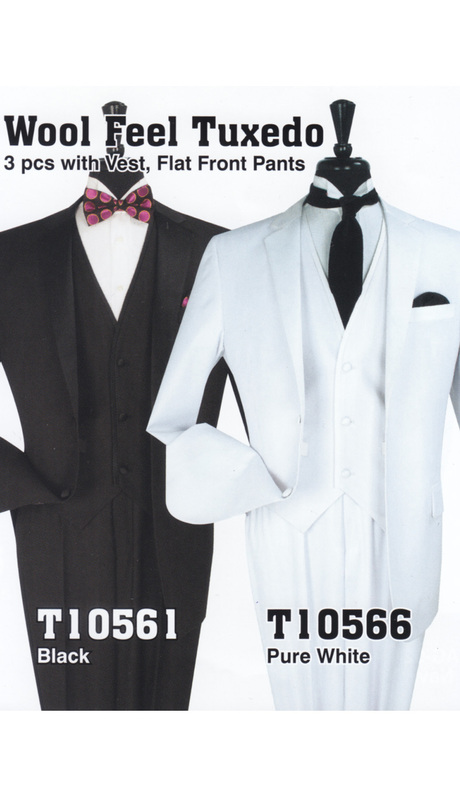 Three piece men's tuxedo in luxury wool feel, two button jacket with notch lapels, vest and flat front pants. 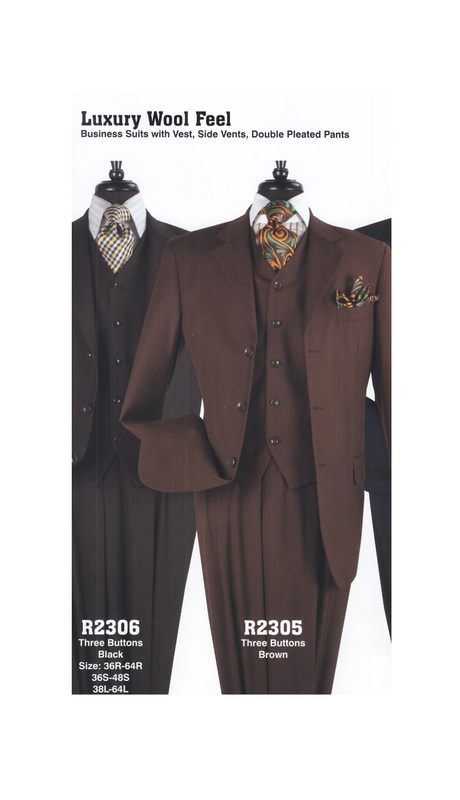 Three piece men's suit in luxury wool feel, 3 buttons, peak lapel, vest and double pleated pants. 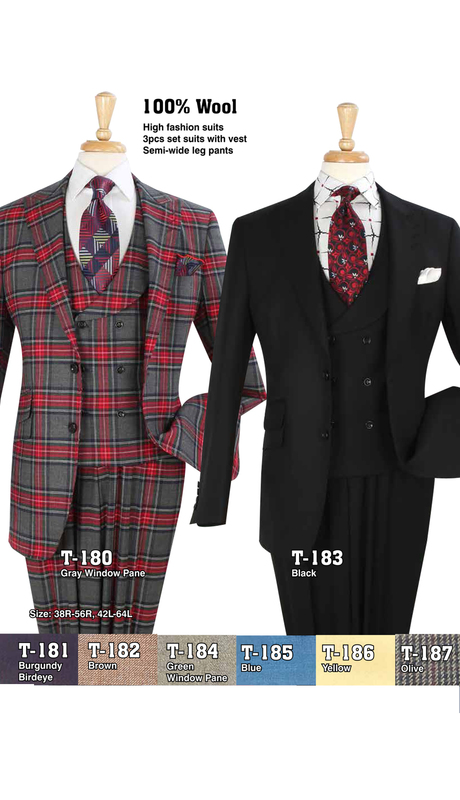 Three piece men's suit in luxury wool feel, two button jacket, vest and semi wide leg pants. 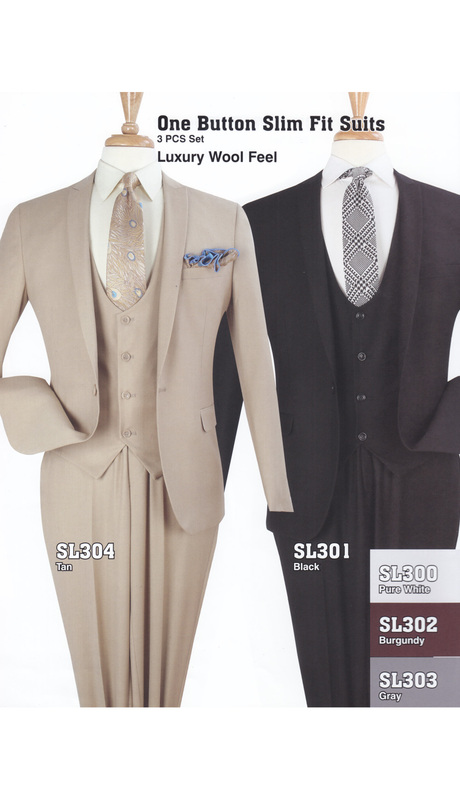 Three piece men's suit in luxury wool feel, two buttons with vest and semi wide leg pants. 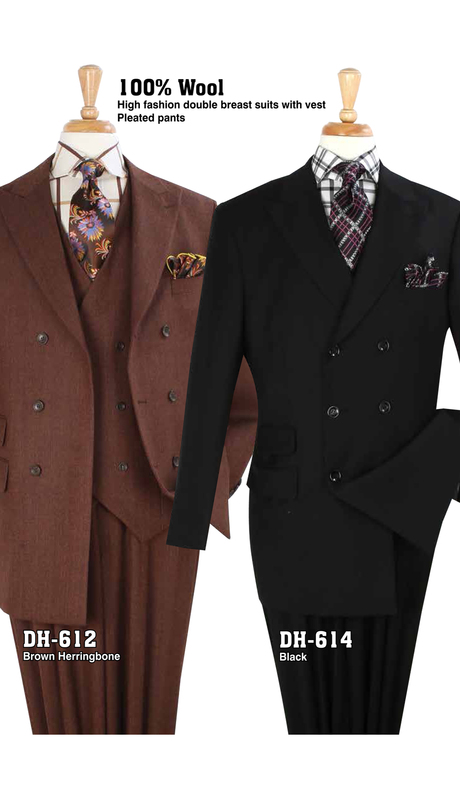 Three piece men's suit in luxury wool feel, two button jacket with vest and semi wide leg pants. 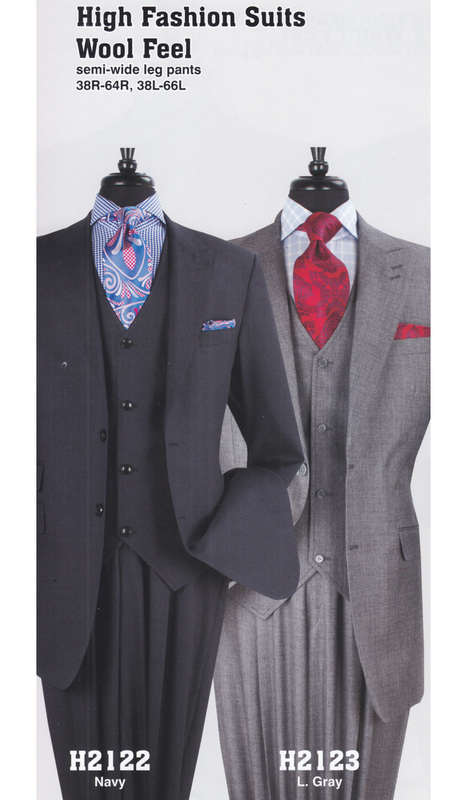 Three piece men's suit in luxury wool feel, two buttons with vest, peak lapels and semi wide leg pants. 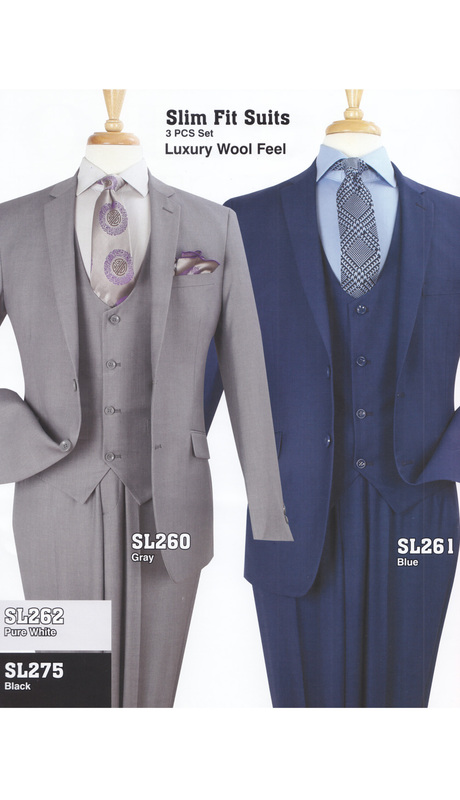 Two piece men's classic fit suit, luxury wool feel, two buttons and single pleated pants.